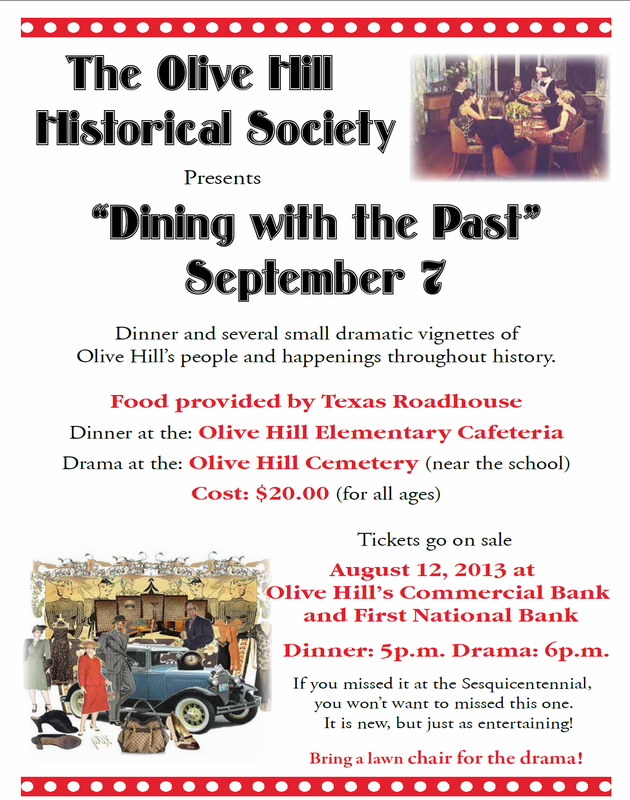 Tickets are still on sale at BOTH banks in Olive Hill. Show & Dinner tickets are due Tuesday (Sept. 3rd) morning. Show-only tickets are available will be available at the booth.